We are constantly using Affiliate Marketing without even realizing it. In this post, I will show you how anyone can start with Affiliate Marketing for free, using a proven method that I use and has been proven to work by thousands of others. Let’s say you need a new pair of sneakers and want to know what the best pair would be to buy to do your morning jog. You will usually start by going on a search engine (like Google) and type something like “Best sneakers for jogging” or “What is the best pair of sneakers for jogging”. You will be sent to a website where someone has already made that research for you (usually an affiliate marketer). And, if you buy the sneakers online following the website’s review link, the affiliate marketer will get a commission from the sale. The very basic of affiliate marketing is to promote other people’s product and getting a commission from every sale you refer. The beauty of affiliate marketing is that the internet is worldwide, meaning that when you sleep, someone from the other side of the world could be looking for the affiliate product you are promoting, and it will happen. The Internet has 3.75 billion users (as of February 2018) and this is your audience, your market. A lot of them are looking for a solution or information about a problem or a question. This is where affiliate marketing gets lucrative. As an Affiliate marketer, you will be helping these persons solve their problem or answer their questions, and in turn, when they buy through your affiliate link, you get a commission (between 1 and 75% – depending which affiliate you associate with). 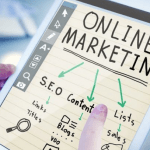 The other big advantage is that once created, the affiliate marketer’s website is on call 24/7 and people will be visiting and purchasing at any time and from anywhere. So you ask: How am I going to make money with affiliate marketing? There are many ways to sell affiliate products. 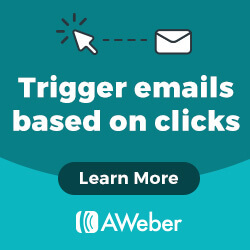 Email, social media, sales funnels, pay per click (PPC) and many more. However, the method I use and that has been proven to be the easiest to learn and to monetize is Content Marketing. It is also known as a Niche. It’s a market segment. In other words, an audience. The next obvious step for the beginner would be to find an affiliate product or service to promote (Niche), right? Only IF you already have a website established on the Internet (This is mandatory), then you have a big step already done. All you have to do next is find an interest and find an affiliate product or service (Niche) to promote related to that interest and you are on your way to making money online. If you don’t have a website, then your first step is to establish your online presence with one. You will need a website host service. Personally, I use Siterubix, which is part of the Wealthy Affiliate (WA) platform. You can get a FREE, no credit card required, no obligation website from WA by following the link below. See what I just did there, I promoted an affiliate product. If you click on my link, I will get an affiliate commission for referring you to them. That’s how easy Affiliate Marketing is. Once you have somewhere to host your website, you need to choose your affiliate program that you want to promote. There are thousands of different affiliate networks out there, and millions of products to be promoting. It’s overwhelming to the beginner, as to where to start. I suggest you start with an interest of yours. Most of the affiliate networks don’t charge a fee to be one of their affiliates. If you find one that does, just stay away and find one who doesn’t. Almost anything you can think of can be a niche, that is why you should start with something you are interested in. Something that you have some kind of passion for, that will be easy for you to talk about. When I first started, I didn’t know what I was doing and spent a lot of sleepless nights trying to break through, but it wasn’t working. Not until I joined Wealthy Affiliate. They showed me step by step how to create a website from scratch, choose a niche and add quality content to the website, so that people would find it and purchase products through my affiliate links. READ Is Profit With Alex a scam? Or can you really make real money with it? You want to select a subject and/or product which will get you motivated to talk about and that you have a good knowledge, or at least that you can learn and research easily. You can start by looking into Amazon’s best selling products, or even an internet retailer like Clickbank or Shareasale – they promote manufacturers and digital marketers and you can join them and promote the products/services they provide. Plan on what you are going to write about, what products you are going to promote. What kind of help are you going to offer? Once your plan is in place, and you have chosen a name for your website, it’s time to make the world know that you have an online presence by creating your own website. This task is A LOT easier today than it was let’s say 15 years ago. With today’s technology, a website is easily created in minutes, without writing a single line of code. My favorite place to create a website is with Siterubix. It’s a FREE platform that is part of Wealthy Affiliate. You can check it out right here. Choose the direction that your Niche will take. 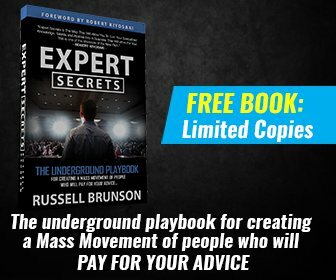 Go back to your plan and figure out what product or service you are going to promote and research ways to get into affiliate networks that would pay you to promote the product or service. Then go and start creating quality content. Research, research, research. Good quality content is not done in a few minutes, it’s hard work, but the beauty of this is that once you have created your posts, it will be there forever. You don’t have to do it again. This is the biggest part of the work. After you have figured out your Niche and you have chosen some affiliate networks to promote on your website, you now have to create GOOD QUALITY CONTENT, in order to create traffic to your website. We are not going into details here, but if you are on a tight budget, the latter is one that you should study. By creating quality content in your niche with targeted keywords, the search engines will recognize your website (SEO- or search engines optimization) as an authority and rank your pages/posts high on their search results, creating free traffic. This is the optimal thing you need to do because 95% of the web traffic goes to sites that are ranked on page one of the search engines. Also, I should mention that 33% of all the traffic goes to the No. 1 position in the search results. So by being on page one, even if you are not in the no.1 position, you will get a ton of FREE traffic to your website. Once traffic starts flowing and your website becomes an authority in its Niche, making sales and commission will be of second nature. People will know you as someone who knows its stuff and will not hesitate to buy from your website. As long as you are consistent, you put in the effort, the amount of money you will make is directly related to the effort you put in. It’s not an easy task. You will eventually feel like you are getting nowhere. But then something magical will happen: Your first online sale! From there on, the sky’s the limit! But don’t forget that to sell something, you must HELP! You have to offer value to your customer. If you simply try to sell something, you may make a few sales, but your product will not convert to sale as well as if you HELP, and you offer your valued opinion and guidance. 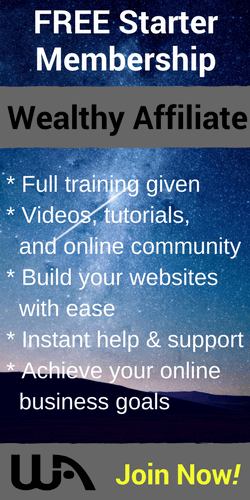 If you really want to learn Affiliate Marketing in-depth, I suggest that you join the Wealthy Affiliate platform. You can join absolutely FREE. At WA you will find everything you need to be a successful affiliate marketer. You can also check out my WA review HERE. 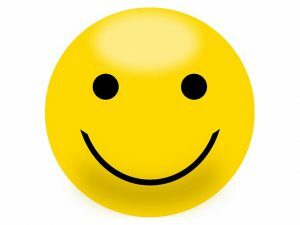 Hi Denis I have been in affiliate marketing through content creation. Yes promoting affiliate products through contents always put you in the upper hand. You don’t have to worry about traffic because it naturally bring visitors from search engine. In every online business traffic visitors is the main deciding factor for your revenues. To create contents we need Keywords reaserch tool. Do you find any good free keyword research tool? Hi Jesse and thanks for your comment. Yes Content is KING when it comes to search engines, but it’s true what you say, Keywords are of the utmost importance when it comes to ranking on search engines. I will refer you to one of my other post where I talk about keywords specifically. You can access it here. For a shorter answer, I prefer using Jaaxy, that is part of the Wealthy affiliate platform. Just click on this link and it will tell you all about it. Hi Denis;I have read your article on affiliate marketing for beginners.You had gone all out to help the beginner who really needed help. I do believe in good content writing. one thing in your post that I am not fully functional with it as my understanding is not clicking in that direction. Can you give me a breakdown or simplify keyword usage for me? I’m glad that you liked my article. I do try to make it as simple as possible. When it comes to keywords, I did not go into details in this post because I did another post just on keywords. I go into details in this post and you can access it by clicking this link. I also created a link within my post, but I guess you missed it. I will change the font and maybe it will be more visible to other people. Thanks for your input! I’ve been reading a lot about affiliate marketing online and wondering if I have to stock a lot of products, or if someone else ships them out for me? I got into mlm marketing one time, and still have a bedroom full of products I had to buy and could never sell? 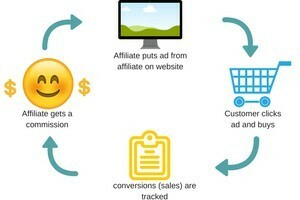 Is starting with affiliate marketing like that? No my friend you don’t have to stock anything with affiliate marketing. You simply promote someone else’s product or service. It can even be a digital product that your audience can download like I mention in my article. Start with Amazon, Clickbank or Shareasale. They will have more in-dept explanations on how to get signed up and promote their products. But you will NOT have to carry any inventory to do this. Hope this explanation has answered your question.